Sold a Single Family home in 2013 for approximately $5.25M in La Jolla, La Jolla, CA. Judy & Peter, know the San Diego real estate market extensively. They are very knowledgeable and extremely diligent-plus a lot of fun to be with when looking at properties. Sold a home in 1999 in La Jolla, San Diego, CA 92037. 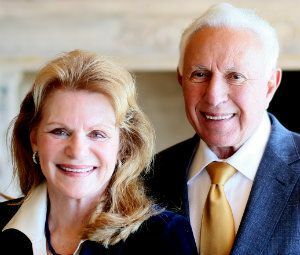 Judy and Peter Corrente are the consummate Realtors. We purchased a home from them that they were able to close that had multiple offers. Years later we sold the home and made a significant profit. They are friendly, highly educated and go out of their way to do the very best job for you. Sold a home in 2000. My wife Ann and I have utilized the services of Judy and Peter Corrente a number of times over the past 20 years. The sold our home in Ramona in the late 90's. The helped us buy our existing home in La Jolla in 2001. As we are know at the age to downsize we again have listed their services. The are extremely knowledgeable of the "high end" market in La Jolla. They are an old fashioned couple in the sense that their word is better than a contract..
Bought and sold a Single Family home in 2013 in La Jolla, La Jolla, CA. We have used Peter and Judy Corrente as our realtor on three different occasions. They sold our condominium at Seahaus for a record amount. They sold our house on Calumet Avenue for a price beyond our expectations. We also purchased our current house through them. We have found them to be very knowledgeable and fair. They are very well known throughout the community and they keep abreast of the market. We would recommend them highly to anyone buying or selling their home. The Correntes knowledge of the market in San Diego was invaluable to me as a new home owner. They have represented me in several purchases now, which they made effortless with every detail attended to. The Correntes worked aggressively to negotiate the bottom line price on each purchase.